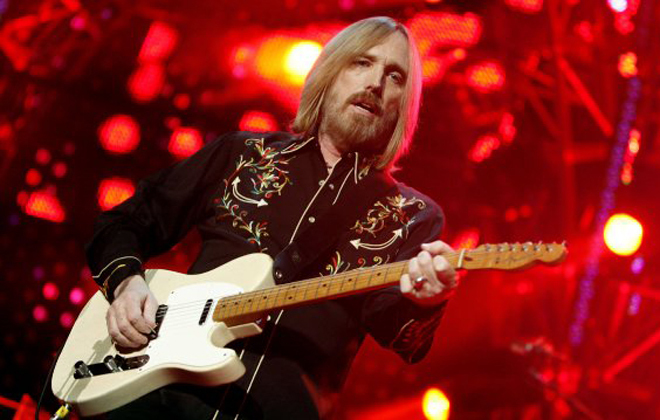 CULVER CITY, Calif. (AP) -- Police say they've made an arrest and recovered five guitars that were stolen from Tom Petty and the Heartbreakers at a Southern California rehearsal studio. Culver City police Lt. Ron Iizuka announced the arrest Tuesday. The name of the suspect and other details have not been released. The instruments were reported stolen last week from The Culver Studios, a soundstage where the band was rehearsing for an upcoming tour. The band had offered a "no questions asked" reward of $7,500 for information leading to the return of the guitars. The stolen guitars include Petty's blond 1967 12-string Rickenbacker and his Gibson SGTVJunior, Mike Campbell's blue Dusenberg, Ron Blair's Fender Broadcaster and Scott Thurston's 1967 Epiphone Sheridan.